Brentwood College School is a private university preparatory school for students in grades 9 through 12. 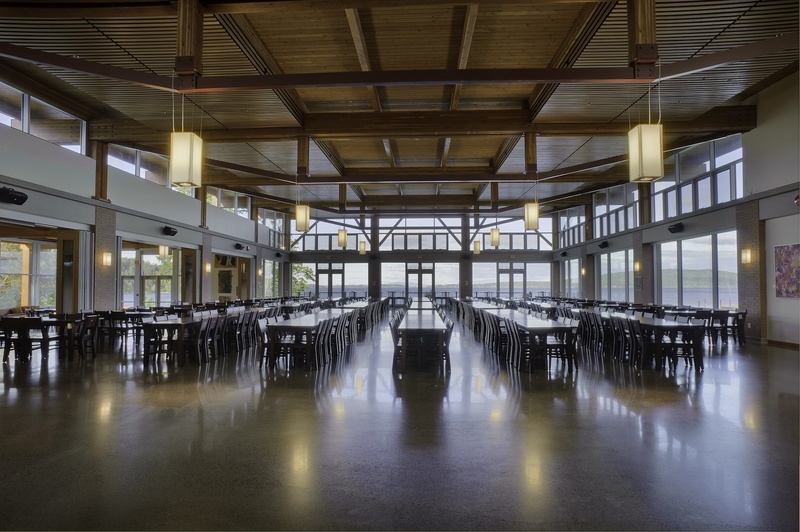 The Art and Mary Jane Crooks Hall was added to the existing campus to house a new dining room and student services centre. 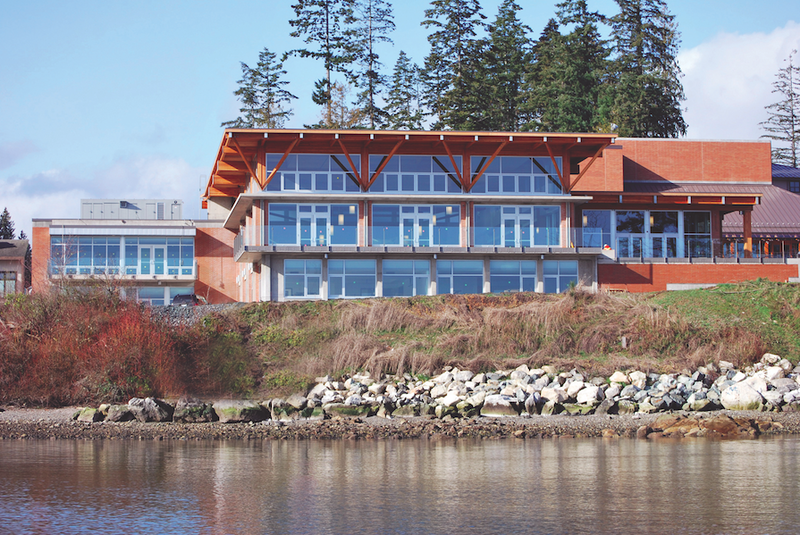 The design and orientation of the new building sought to integrate into the campus plan and natural surroundings, while preserving ocean views from the existing buildings. 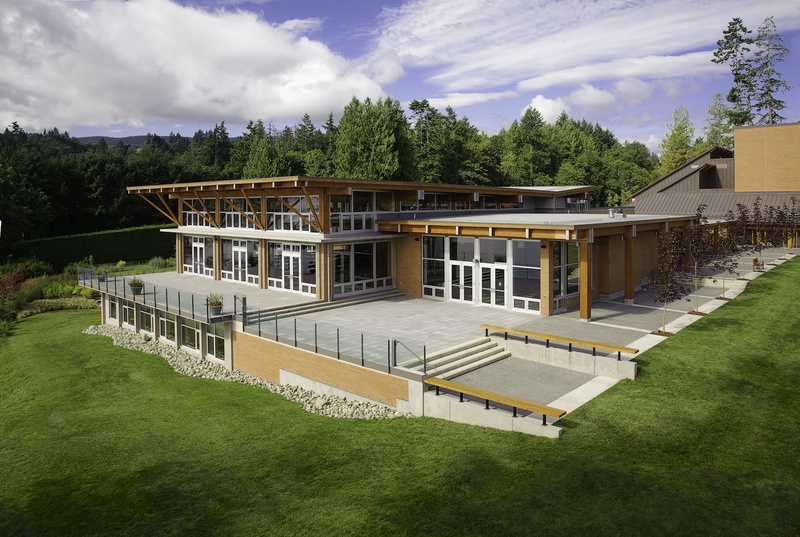 It is positioned by the campus entrance, and serves as a gathering point around the ‘green common.’ The large windows and wood finishes make it a desirable location for student activities and studying. 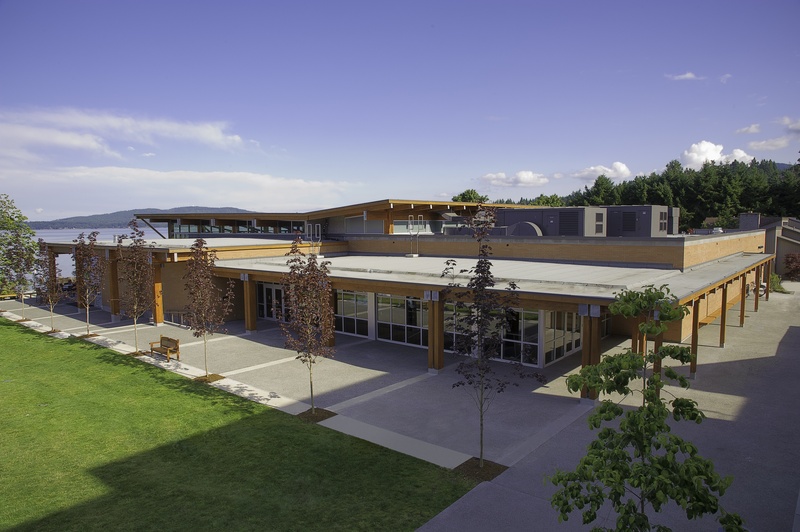 Some of the green building features include an ocean loop geo-exchange system, air and waste water heat recovery systems, greywater recycling, nocturnal pre-cooling (outside air brought in during the night cools the building before it is used in the morning), and bioswales (landscaped areas in the parking lots naturally filter parking areas).